Bon Vivant and a Budget: 5 Small Luxuries that add up to Big Money! 5 Small Luxuries that add up to Big Money! Many celebrities are hedonistic, wasteful and out of touch with the real world. I typically wouldn't recommend taking cues from this group on how to budget, however, there are some exceptions: Oprah Winfrey brought her own lunch to work every single day during the 25 year run of her talk show. Russell Simmons decided a subscription to cable TV wasn't a necessity when he was building his empire. Mary Kate and Ashley Olsen shop at second-hand stores. All these celebrities are billionaires and all of their actions are money management strategies we can learn from. I'm sure you already have a few tricks under your belt for saving money, but you can always add some more simple tools to your arsenal. The key is understanding the difference between a necessity and a luxury. A necessity is something you simply cannot go without for it is indispensable. Necessities include things like toilet paper, toothpaste, sleep, water and food in it's most basic state. A luxury on the other hand, is inessential and often expensive... a massage, a manicure, magazines, movies..... mmmmmm... money down the drain! There are so many small, seemingly insignificant luxuries that we can cut down on and in turn save a lot of money. Eliminate the 6 expenditures outlined below, and your wallet should be heavier in no time! Brown-bag it! The $7 a daylunch could fund your next vacation. $7 @ 7 days a week = $2,555 a year. 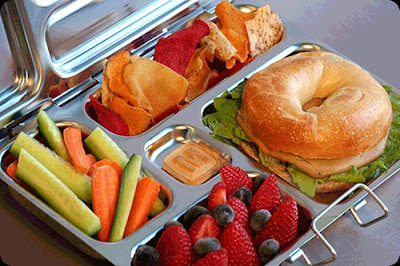 5 days a week= $1,820 a year.Instead, invest in a reusable lunch bag and some portable containers so you can take last night's dinner to work the next day or checkout great lunch food ideas on the internet. It's cheaper and often healthier too. Also considerbringing your own food to the amusement park, beach, and sporting events. You know that $25 manicure and pedicure you are getting weekly, well that adds up to $1,300 a year or bi-weekly $650/yr. And that's even before giving a tip! You can save a ton if you just learn to do it yourself (DIY). 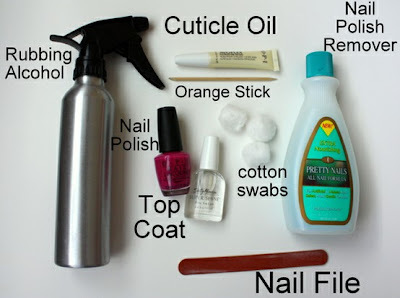 Buy nailpolish remover, cuticle oil, nail clippers, files, a few shades of nailpolish and a top-coat. Even if you are not the best manicurist, you should be aware that interesting topcoats such as chunky glitter and Opi shatter easily disguise any polish imperfections. Look online for tutorials; here is a great one. I used to go tothe salon every 2 weeks and get my eyebrows done, The cost was about $10 bi-weekly or $260 a year. Myeyebrows looked nice, but I found going to these places inconvenient. So I started doing them myself a couple of months ago. I bought some Revlon Diamond tip tweezers that cost just under $20 bucks (a cheap tweezer wouldn't suffice). I must say, I've never gotten morecompliments on my eyebrows ever! All you need are a decent pair of slant tip tweezers, a white eyeliner pencil and a magnifying mirror (costs like 2 bucks). I'd recommend you go the first time to a salon to get them shaped and then from that point all you have to do is the maintenance. 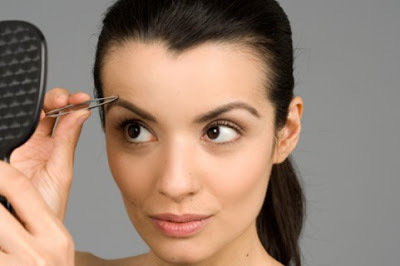 Check out a basic eyebrow tutorial here. In Manhattan a ticket to the movies is about $14. 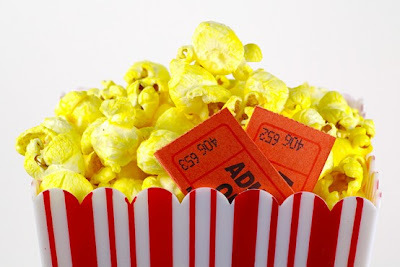 A soda is about $5 and popcorn $6. That's $25 for one person and you usually don't go alone. Let's say 2 people go twice a month for a year. That's $50 x 2 x 12= $1,200 a year. This is a luxury better spent elsewhere. You could try purchasing a Netflix membership, do dvd or blue-ray disk swaps with friends, and host your own movie nights at home. With the leftover money, you could eat lobster and caviar (or just put money in the bank). Just like the movies, always staying up to date with the latest releases of books can be costly. And whenever you buy a new book there is no guarantee that you will love the book or even enjoy it enough to finish reading. Why not get a library card and read it for free?! You can usually reserve books ahead of time online through your library's online site and have them ready for check-out when you get to the circulation desk. Libraries provide access to scholarly journals, newspapers, magazines, free workshops and lectures, e-books and free wi-fi. Take advantage of your local library! Great tips! I agree about all of them, especially #4. It really is easy to maintain brows on your own. Thanks so much for the manicure tutorial! I just decided to cut back on manicures and bought a few colors that look *just like* Chanel colors at the drug store. This is just the motivation I needed! That's great, Nicole. Let me know how it turns out!